In a very short time, Annamarie has deservedly won critical acclaim and international recognition as a phenomenal vocalist and recording artist. CD sales with her debut release, "Forget To Remember" have earned numerous awards, including Best R&B song in the prestigious United Kingdom's Songwriting Contest. With CD's selling in Japan, Italy and Germany, it's no wonder that an MTV video of Anna has gone viral. In addition to providing her jaw dropping vocals to the Battista Band since 2006, Anna's songs and vocal tracks have found their way onto several Phila DJ's House mixes and her own station on Pandora. 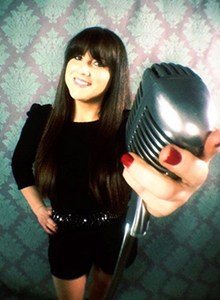 Anna's talents have added a powerful, dynamic and fresh element to the Band, singing everything from the classic hits to the current Billboard top 10. 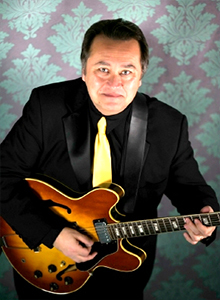 Performing, songwriting and recording music for the past 30 years, Battista has worked as a soloist, with Jazz combo's and several Top 40 Party and event Bands. In 2000, he released his debut CD and launched the Ken Battista Band. In the past few years, the Battista Band has built up an impressive reputation, fan base, numerous awards and critical acclaim including "Best Music" in the Philly A-List contest for 2016 and 2017. In addition to performing, Battista has Produced 16 cd’s including 10 cd’s of original material, available via Apple iTunes and Pandora Radio. His discography includes 5 solo cd's, 2 KB Band cd's, Anna Silvestera's Debut cd, 2 Christmas cd’s and 4 cd’s by sons Dominic and Mac. The boys recorded their first song at ages 5 and 6. “I Love You Mom” was featured on Philly’s WXPN radio station as one of their top Ten Mothers Day songs. To date, it remains one of the most downloaded iTune songs in the Battista catalogue. Versatile, creative, knowledgeable and a veritable virtuoso in numerous styles of Guitarists and Guitar performance. Juan and Ken's musical associations and friendship span 35 years and include a long list of credits performing in Jazz Clubs, numerous Recording Studio sessions, Casinos, Clubs and Society Events. Juan is a founding member of the Battista Band and continues to be an integral piece to the sound and spirit of each and every performance. 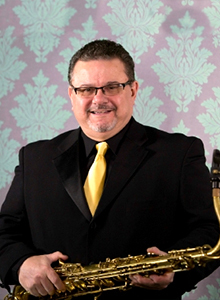 Michael is a dynamic and seasoned professional with 30 years experience in the music business. 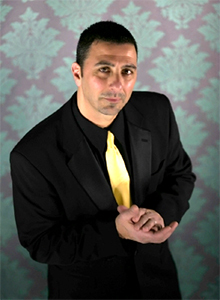 His solid, "in the pocket" drumming style is the foundation to the Battista Band's energy and infectious dance grooves. Mike is the driving force that keeps every Party energized and everybody up and dancing. If that's not enough, Mike is the fourth lead vocalist of the Band, adding a rich Pop and R & B flavor to one of the best singing groups in the Philadelphia area.